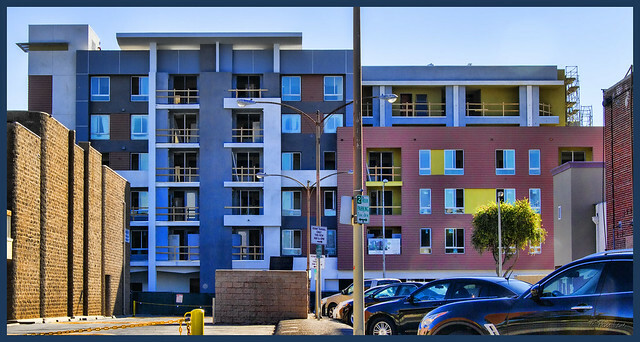 Here's another view of the colorful affordable living housing called "The View," in downtown Downey. (See The View for the previous view.) This picture was taken a couple of weeks ago, so I'm guessing that construction is nearing completion by now. Shades of Greece in Downey?